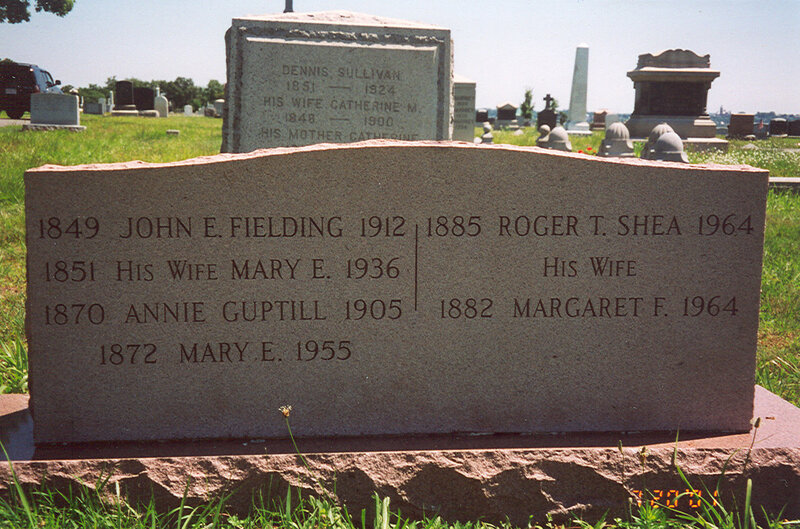 This is the headstone of Mary Lucey Fielding (sister of James E Lucey) and her husband John, daughters Annie, Mary E,, Margaret (Floss) and her husband Roger Shea. This entry was posted in Lucey and tagged cemetery, genealogy by dave. Bookmark the permalink.